My post for this month's Lightening Craft was inspired by my most recent near death experience...and I do mean the experience I posted about on Instagram this morning, I figured, why the heck not make a spider necklace. I mean if that is going to be the reason I inevitably die, I might as well embrace it right? I will also add, that I completely forgot all about having to have this project done this morning so I rushed to get it done this morning. Truly it has been a 15 minute craft, minus dry time. Like the apple earrings, the pencil necklace and The Fault in our Stars best friend necklaces, I made little spider charm design in my Silhouette program and then cut it out of black paper. I glued them all together to make a thicker paper charm. When that was done, I glued on some googly eyes because I thought it would be way cuter, and it is! And then like the other charms, I topped it with some Mod Podge Dimensions. I impatiently waited for it all to dry, added a jump ring and strung a chain through it. 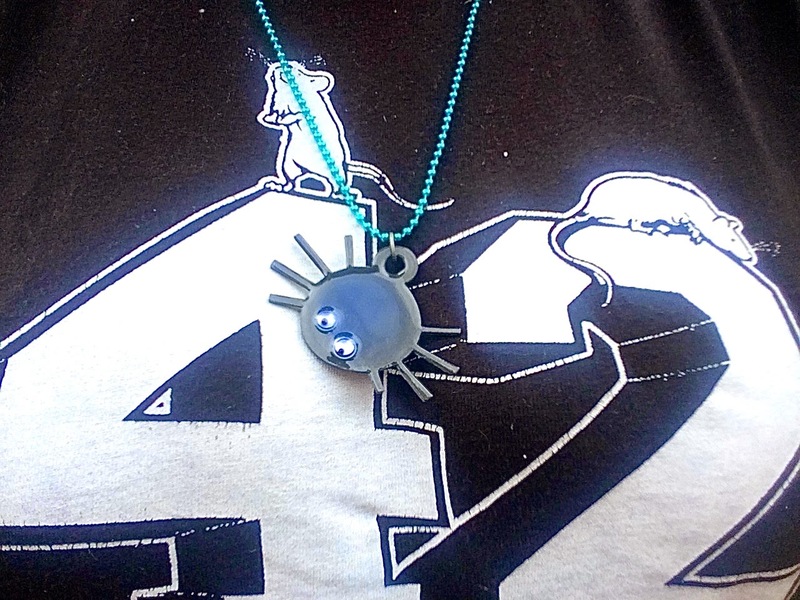 And just like the projects before it, I had an awesome and super fun necklace to wear. 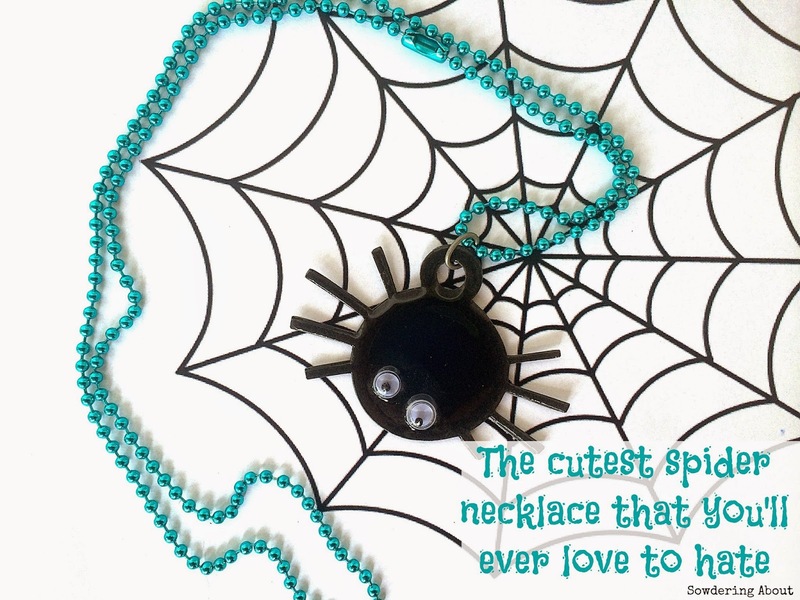 I mean, I might not wear it because it is, afterall, a spider, but I might pass it along to someone who will wear it! This craft was thrown together to be apart of a series for 15 minute crafts! Your craft and your post are both awesome. :) Love the necklace!! So simple and adorable! Thanks for joining! There is no great photo of you wearing your new badge of honor. Surviving the spider! That makes you Spider Woman? I am glad you are alright and your humor turned out a darling necklace. So cute! Thank you for sharing with us at Pin Worthy Wednesday! I have pinned this to our Pin Worthy Pinterest board! So cute! 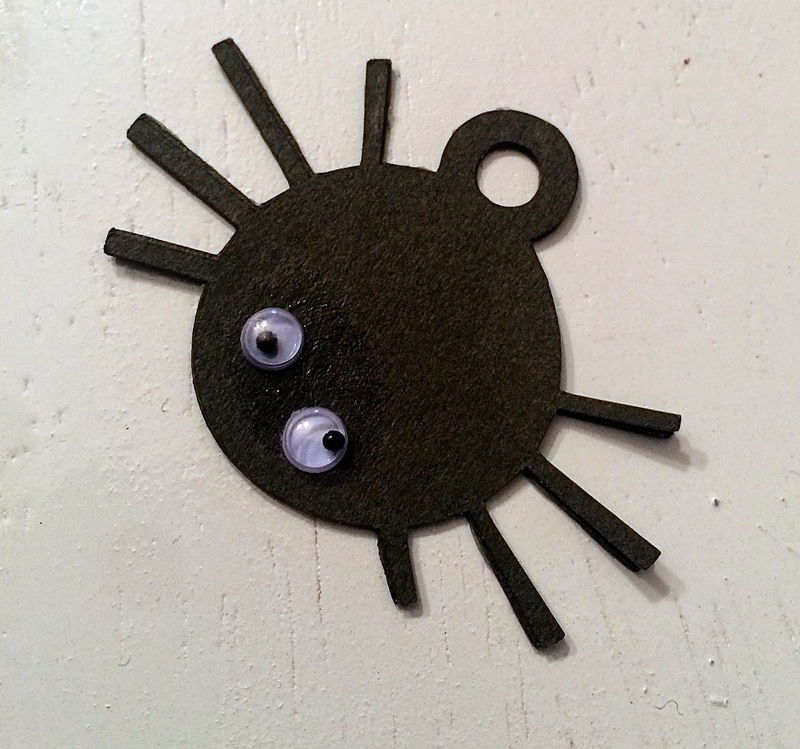 The eyes make him friendly :) Would go great with my spider web earrings! !